EVEN though the labour movement is "very happy" with the changes announced in the Budget, it hopes to see more changes to the Central Provident Fund (CPF) system, said labour chief Lim Swee Say yesterday. Top of its wish list is a further raising of older workers' CPF contribution rates, so that they are on a par with that of younger workers. Workers above 50 to 55 years old will see their total CPF rates rising to 35 per cent from January next year, but this is still two percentage points lower than that for workers aged 50 and under, who get contributions of 37 per cent. "Early restoration of the remaining two percentage points... will be very helpful to workers," said Mr Lim, the National Trades Union Congress (NTUC) secretary-general. 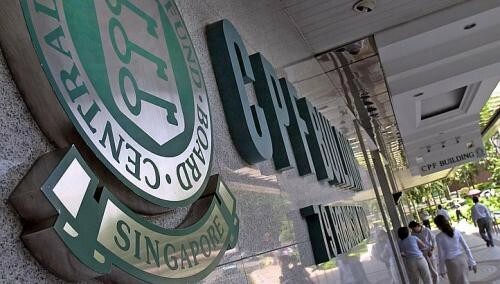 The labour movement also wants the current monthly salary ceiling for CPF contribution rates of $5,000 to be reviewed. And in the longer term, CPF rates for all workers should also be reviewed, added Mr Lim. He would not be drawn into setting targets or spelling out a time frame for these changes, saying only that the target contribution rate of 36 per cent, which was set more than 10 years ago, "may no longer be relevant". "Union leaders are asking... maybe it is now timely for tripartite partners to sit down and look ahead to the next five, 10 years. What should the CPF contribution target be?" he asked. Mr Lim said that while union leaders understand that CPF rates cannot be raised in a hurry, they have to go up eventually. "The new target must be higher because of longer lifespans and greater needs for housing and health-care costs," he noted. CPF contribution rates were last reviewed in 2003. The monthly CPF contribution ceiling was last raised in 2011, from $4,500 to $5,000. Mr Lim's call comes three days after Budget Day, when the Government announced CPF rate hikes of between 1 and 2.5 percentage points for workers, with the bulk of the hikes going into medical and retirement needs. In his speech, Finance Minister Tharman Shanmugaratnam said that no further changes to the total CPF rates are expected soon. But he also noted: "In the longer term, any further changes will have to be carefully considered by the tripartite partners, taking into account economic conditions, business costs and competitiveness." Last week, Acting Manpower Minister Tan Chuan-Jin also urged caution over raising CPF rates too quickly, saying that it would hurt Singapore's economic competitiveness. The NTUC held a closed-door briefing for 200 union leaders to discuss the Budget yesterday. After the meeting, Mr Lim said union leaders were happy that the Budget helped workers on three fronts: looking after the pioneer generation, providing help for workers and families, and boosting Singapore's competitiveness. Meanwhile, employers continued to express concern at the prospect of further CPF changes. "Raising CPF rates even further is like (throwing) some more daggers at micro-SMEs," said entrepreneur Wei Chan, who runs several small food and beverage businesses. Association of Small and Medium Enterprises president Kurt Wee said that the business community is not rejecting CPF changes, but warned: "We cannot do things in such a hurry that it hurts businesses."